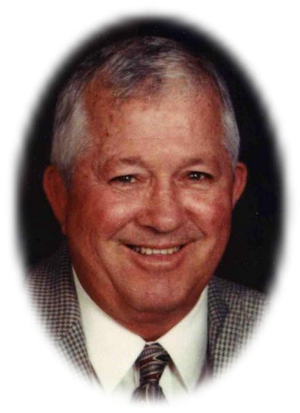 Obituary – Karcher, Loren W. « Perry High School Alumni Association, Inc.
Obituary – Karcher, Loren W.
﻿Wrestling 57-60; Football 59-60; Student Council 58-60; Wrestling Co-Captain 59-60; Annual King Attendant 58-59; Sophomore Class Vice-President 57-58; F.F.A. Sentinel 58-59; Student Council President 59-60; Boys’ State 58-59; Home Room President 57-60. Loren W. Karcher, 64, of Perry, Oklahoma was the son of Walter and Eula Crockett Karcher. He was born June 5, 1942 in Perry, Oklahoma and died Friday, June 23, 2006 at Perry Memorial Hospital. Loren was a 1960 graduate of Perry High School. 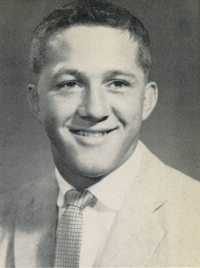 He attended the University of Oklahoma on a wrestling scholarship after winning the High School State Title in 1960. He served in the Oklahoma National Guard. He and Shirley Gerken were married on April 26, 1964 at Christ Lutheran Church in Perry. Loren was a senior lease operator in the oil and gas industry with El Paso Production in Liberal, Kansas. He enjoyed hunting, bowling and reading western novels. His family was very important to him and he especially enjoyed spending time with his grandsons, nieces, nephews and many friends. He was a member of Christ Lutheran Church. Funeral services will be at 10:00 a.m. Monday, June 26, 2006 at Christ Lutheran Church in Perry. Rev. William Metz will officiate, assisted by Rev. Myron C. Maltz. Interment will be in the Richburg Cemetery. Services are under the direction of Brown-Dugger Funeral Home of Perry. A family visitation will be held from 6:00-8:00 p.m. Sunday, June 25, 2006 at Brown-Dugger Funeral Home. Memorials may be made to Christ Lutheran Church or Lutheran Hour in care of Brown-Dugger Funeral Home, 1010 N. 7th Street, Perry, OK 73077. In addition to his wife, Shirley, Loren is survived by two daughters, Misty Karcher, of Perry, Oklahoma and Shurlyn Maltz and her husband, Jeff, of Guthrie, Oklahoma; two grandsons, Conan Maltz and Zane Maltz, both of Guthrie, Oklahoma; four brothers, Jerry Karcher, Jim Karcher and Keith Karcher, all of Perry, Oklahoma and Wayne Karcher, of Houston, Texas; one sister, Joy Justus, of Helena, Oklahoma; and his mother-in-law, Juanita Gerken, of Perry, Oklahoma. His parents, two nephews, Brian Karcher and Frank Fuxa, and his father-in-law, D.W. Gerken, preceded him in death.